Custom home builder based out of Dayton, Ohio specializing in luxury home remodels and new construction. G.A. White has over 32 years of experience building prestigious homes that are both visually stunning and are of the utmost quality. Whether it's a remodel to update a pre-existing home or a brand new build, G.A. White has a passion for making dream homes a reality. John Ballantyne of the The Leland Group has been building and renovating homes in the Greater Cincinnati area for over 30 years. At The Leland Group, we believe the success of any project is reliant on the homeowner, the builder and the skilled professionals involved in crafting your home. As a home buyer you realize the importance of a solid investment. As a homebuilder, The Leland Group realizes that a home is also an investment of time, trust and respect. We take the necessary time to build a relationship with you, understand your lifestyle, needs, and your vision of what your home should be. We guide you through every step of the home building process, and our user friendly software helps to keep all your selections organized. At The Leland Group, building or renovating your home is the personal and rewarding experience it was always meant to be. Discover the elegance, craftsmanship and lasting value expressed in every home we build–whether it’s one of our many award-winning model homes…or your home. Arthur Rutenberg has been a respected name in home building since 1953, when he built his first home upon the four “cornerstones” that would make him legendary: design, craftsmanship, service and responsibility. He would go on to build a business with those same core values and forever change the landscape of residential home building. Today, Arthur Rutenberg Homes, Inc. is one of the largest networks of independently owned and operated homebuilding companies in the nation, with franchised homebuilders throughout Florida, Georgia, North Carolina, Ohio, South Carolina and Tennessee. With a portfolio of more than 100 award-winning designs, a variety of unique support services and a cadre of nationally recognized vendor partners, we excel at one thing: building the most beautiful homes in the neighborhood–whether on customer-owned property or in some of the finest, most prestigious upscale communities in the area. Every Arthur Rutenberg home is masterfully created to achieve understated elegance, exquisite style and maximum livability–all while harmoniously integrating the personal changes a homeowner desires. We continue to perfect the innovative, always-relevant design concepts Art first introduced decades ago: the split-bedroom floor plan; the well-appointed centralized kitchen; the extensive use of glass; and the open, airy common areas seamlessly blending outdoors with indoors. We believe by choosing Arthur Rutenberg Homes you get the best of both worlds: you benefit from our legendary history and incomparable company values established over a half century ago, while enjoying a wealth of local building knowledge and exceptional personal service from your franchised builder. Let us bring the legend to life for you. Experience for yourself why Arthur Rutenberg is still the name most discerning homeowners trust. 3X Best of Ohio Grand Award Winner! We are a custom home-building company specializing in homes that offer "one-off" details and outstanding craftsmanship. Our homes are often highlighted by our woodworking details and fine craftsmanship. Follow us on INSTAGRAM. Fry Homes is a high-end home builder in the greater Cincinnati area specializing in custom homes, spec homes, additions, and renovations. As a member of the Home Builders Association and partner of Energy Star, Ben Fry saw a need for medium to high-end energy efficient homes. Monarch Homes is a New Home Builder of high quality, stylish, and energy efficient homes in the Greater Cincinnati area. We strive to be your builder of choice! We design homes for your budget. Almost every builder says they build a quality home. Quality should be, and is more than a tagline. With us, quality is a philosophy; it is in everything we do. From footers to the finished product and subcontractors to suppliers, we have worked to identify those people and companies that share our expectations and philosophy. We build every home as though we are building our own. With J. Schmidt Homes, “custom” means customized to fit your lifestyle including size, location and budget. J. Schmidt Homes consistently delivers quality custom homes that are built clean, complete and on time. J. Schmidt Homes is your trusted partner in creating the lifestyle you seek. Whether you've recently expanded your family, looking for a luxury place to retire or just seeking to make your dream home a reality, our experienced builders and licensed Realtors® are here to guide you step by step through the process! For Dayton residential home builders who also act as developers, the job starts well before the first nail is driven. They perform local market research to determine whether the prospective homesites make sense in the Dayton, OH market, as well as survey the land on which the house will be built to make sure it is suitable for construction. Custom builders also obtain the necessary permits. 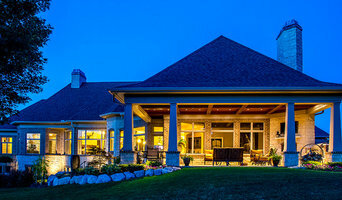 A good custom home builder in Dayton, OH has skills that go far beyond construction — he or she must supervise subcontractors and artisans; keep tabs on local zoning regulations, building codes and other legalities; inspect work for problems along the way; and perform dozens of other roles that are essential in building a quality house. Here are some related professionals and vendors to complement the work of home builders: Interior Designers & Decorators, Landscape Architects & Landscape Designers, Architects & Building Designers, Kitchen & Bath Designers, Specialty Contractors. House builders are responsible for ensuring that the home-building project sticks as closely as possible to the specified timetable, particularly in the event of change orders. 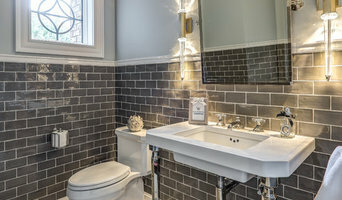 Custom and luxury home builders in Dayton, OH also need interpersonal skills to deal with clients of all types, soothe frazzled nerves, negotiate conflicts and resolve problems. Find custom home builders in Dayton, OH on Houzz. Narrow your search in the Professionals section of the website to Dayton, OH home builders. You can also look through Dayton, OH photos to find a house you like, then contact the builder who worked on it.